Cardiff Rivers Group are taking a little breather during August to prepare for two large events in September [ the Great Taff Tidy and Keep Wales Tidy Week ]. We have plenty of planned events taking place before then though. This Sunday as well as the following Saturday have clear-ups planned, while we have an AGM next Thursday. This weekend we’ll be doing some work on the Ely River for a change. Cardiff Council Parks Dept have asked for our help to remove Himalayan Balsam from woodland alongside the river. 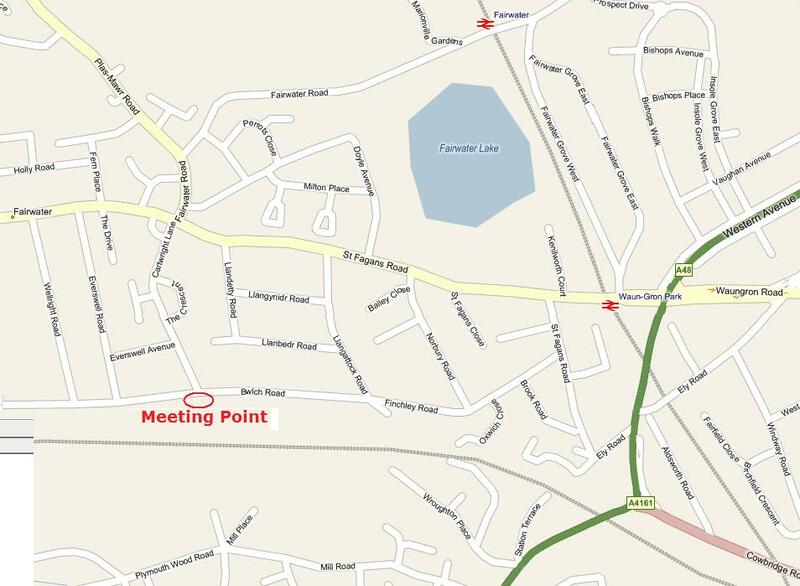 Volunteers are to meet at the Birdies Lane entrance, located at the Bwlch Road / Cartwright Lane junction in Fairwater, see map below. Bwlch Road doesn’t have any parking restrictions. 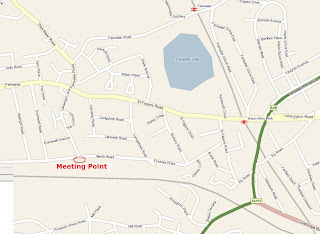 The closest railway station is Waen Gron, half a mile away from the assembly point. Kit to be issued and safety briefing to commence at 9:45 Sunday morning. The site is very overgrown and we will have to remove bramble, nettles etc before we can get to the Balsam, could you therefore ensure you wear long sleeves and trousers, we will not be going into the river, so boots are fine, no need for wellies. We will provide slashes, gloves, etc but if you have any suitable tools e.g. loppers please bring them as we have limited supply. Depending on how we progress this weekend, we’re aiming to carry on with the same work on the banks of the Ely the following weekend, Saturday the 24th. Cardiff Rivers Group are holding our first AGM next week! All are welcome, the more ideas the better. We will be planning our projects up until Christmas along with the ‘Great Taff Tidy’ and it would be great to get your input. We also have two vacancies on the committee, so if you are interested in filling those, please try to come along. All three events have now been listed on Facebook, would be great if we could have an idea of attendance via these events, otherwise, get in touch with Louse.